Becoming a father for the first time = enough to make you forget about your groin injury, clearly. Cute kid too. Wow, first time seeing KAI..very cute !!! 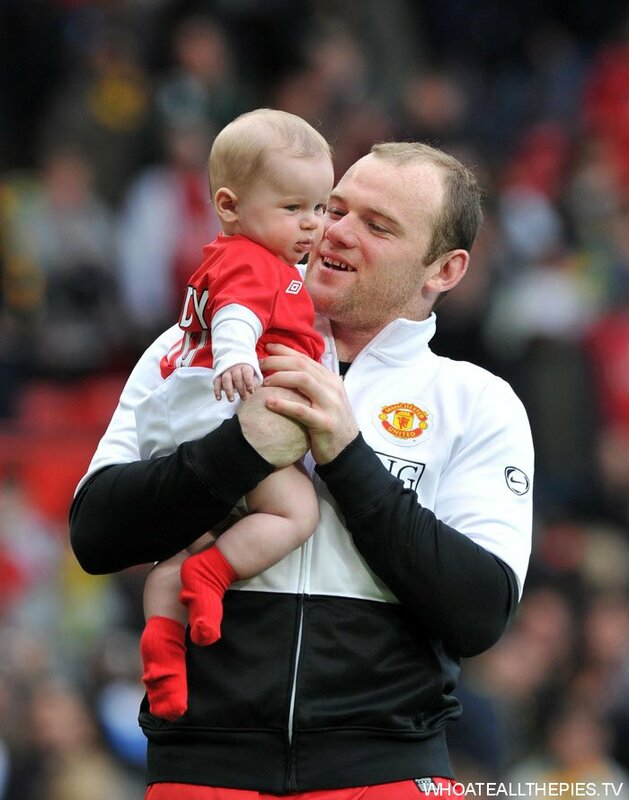 Lovely baby pity about the shirt Wayne, he d have looked much cuter in an everton top!! Cute baby. Both look so happy together. Wow what a baby congrats wayne for having such a cute baby.